I have decided to spend some more time in the bathroom showcasing more products in there just because it is the place where we start our day, where we use the most concoctions of lotions, gels, sprays, pastes, pomade, cream, powder, soap...you get the idea...and not surprisingly it is also where we get some of the most exposure to chemicals in our products and even in our water! Not only are we drinking nasties but we are bathing in nasties too. You can find out all kinds of information about drinking unfiltered tap water here and bathing in this water here. This is such a big conversation that we will save this one for another day. 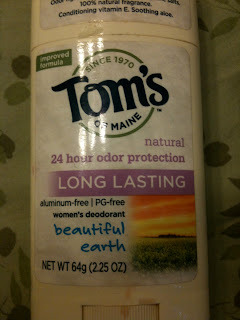 Today I want to talk more about household products, so here we go :) I hope you enjoy it as much as I love sharing it! 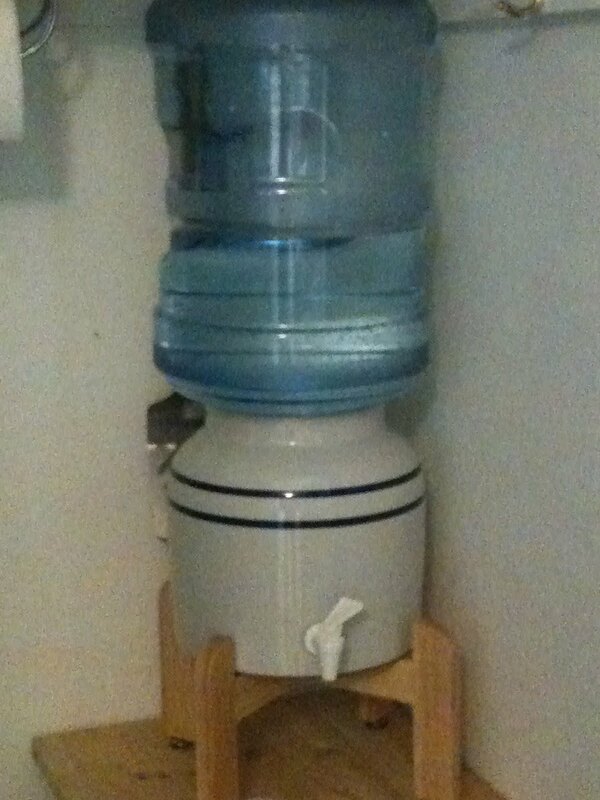 And as long as I am talking about water I will just start here at my water cooler. For my birthday last year my Mr. Wonderful (that's Jeff) bought me this water dispenser...I had actually been begging for one for a few months prior and he finally broke down. We were previously using the Pur water filter system (the pitcher system) and although the water tasted good and we weren't using bottled water and contributing to the landfill and giant trash gyre problems stemming from all that, we WERE STILL tossing on average 2 filters per month into the garbage. That adds up and I personally did not feel good about it. So we purchased three 5-gallon water jugs and when two get empty we go fill 'em up at our local New Seasons grocery which happens to be 5 blocks from our home. We spend about $4 every two weeks on water and it is super tasty to boot and we don't have any waste which makes me even happier. Now if we could lift GLASS jugs instead of plastic it would be even better but it is a step in the right direction. I know that most people, including me, cannot afford to purchase a $5,000 water filtration system for our homes so this at least solves the drinking water issue. 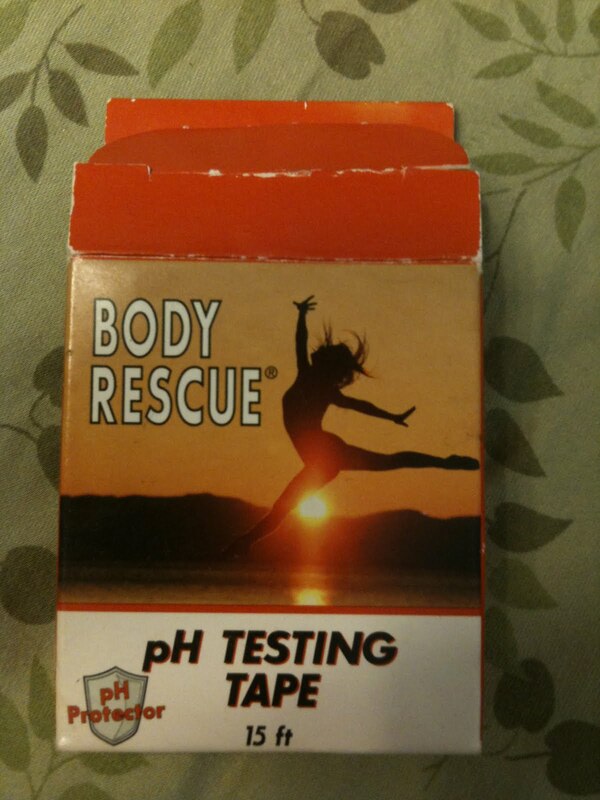 This here tape is pH testing tape, very similar to what you use to test the pool or hot tub or in chemistry class but you hold it in your urine stream and test the pH of your body instead. I like to do this in the mornings to see how acidic my body is and then I check again later in the day to see if it has changed. It usually does and it is also usually a huge difference when I drink my green juice. Your body will constantly strive to be at its optimum pH and will regulate accordingly but what happens is we tend to incorporate a LOT of acidic foods into our diet meaning our body is not as alkaline as we would like it to be (in order to do things like kill cancer cells). Eating right is essential to maintaining a healthy pH level and your overall health. 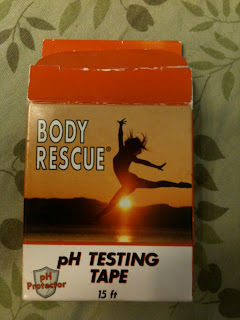 Here is a great link with some basic information to get you started if you are interested in learning more about pH and your health. And another one too, with even more detail. My beautiful mama gave me a Clarsonic Mia and I take it into the shower with me every day. It is like the toothbrush and vibrates super fast and cleans your face like nobody's business. LOVE IT! 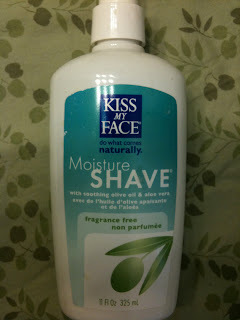 I have been using Desert Essence Organic facewash for sensitive skin and it seems to be doing very well for me. 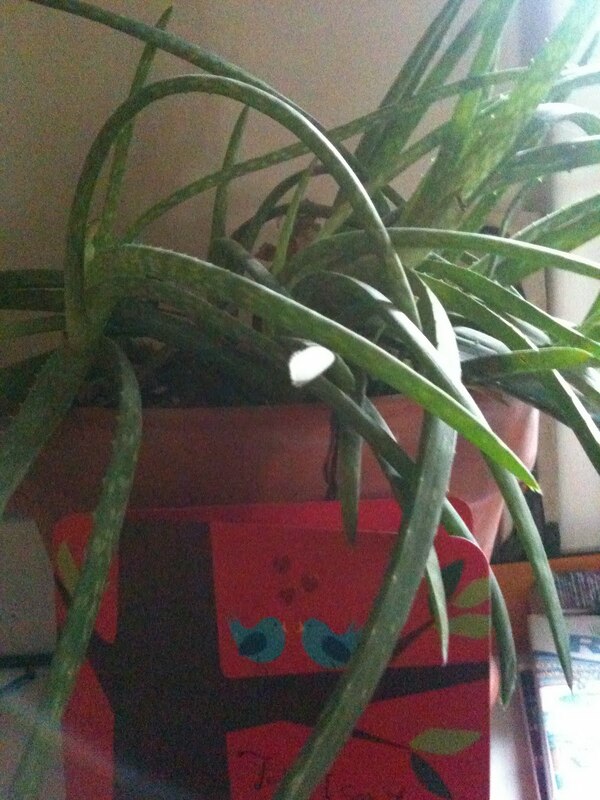 It hurts if I get it into my eyes though, I am assuming it is the tea tree that is irritating. Eyes are not a good place for tea tree. For shaving purposes I LOVE this product! I have even gotten Mr. Wonderful hooked on it. It is a cream instead of a foam so it provides a nice moisturizing barrier between your skin and your razor. I have always had issues with razor burn and this is the best shaving cream I have ever found. It gets a pretty crappy rating on the cosmetics safety data base at a "6" out of 10 so I am going to be looking for a new love. It will most likely turn out to be plain ol' soap from the Oregon Soap Company. I absolutely LOVE their bar soap in Soapman's spice or patchouli, but they have all kinds of lovely scents that are ALL NATURAL and very moisturizing. 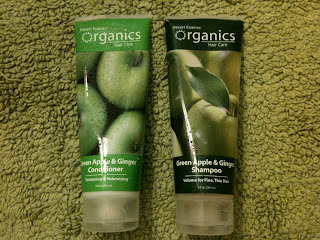 Once again, it is Desert Essence for me right now as far as shampoo/conditioner go. 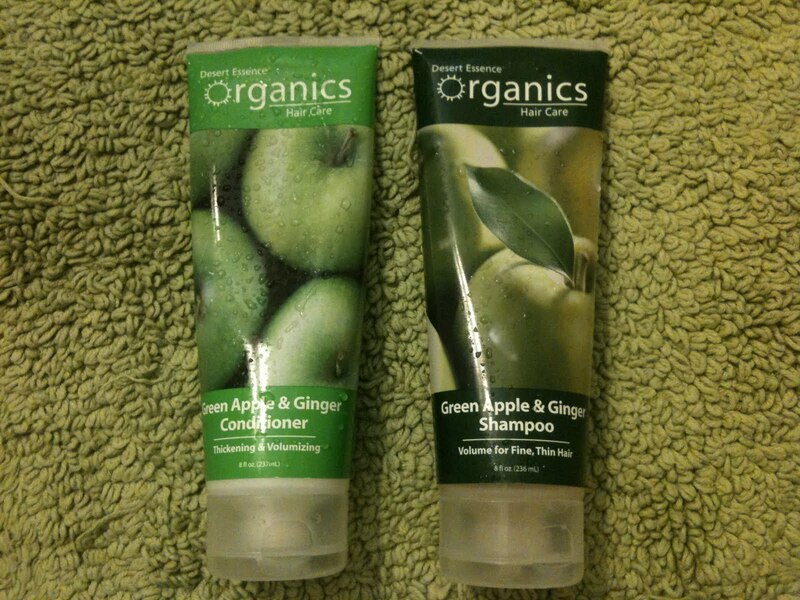 I like to have two varieties in the shower just to keep it fresh :) I love the fresh scent of the green apple and ginger but my hair really loves the coconut one...and it reminds me of warm sunshine. Simply Divine Botanicals is a company I discovered last year and I absolutely LOVE every product I have tried of theirs. I ordered a couple of things and they sent me a TON of samples along with my order and I just loved every one of them. They are made with ingredients that you could literally eat and some of them are even infused with Reiki. I use the lymph drainage cream called "Keeping Abreast Of It" as well and highly recommend it to anyone battling cancer to help drain their lymph system. 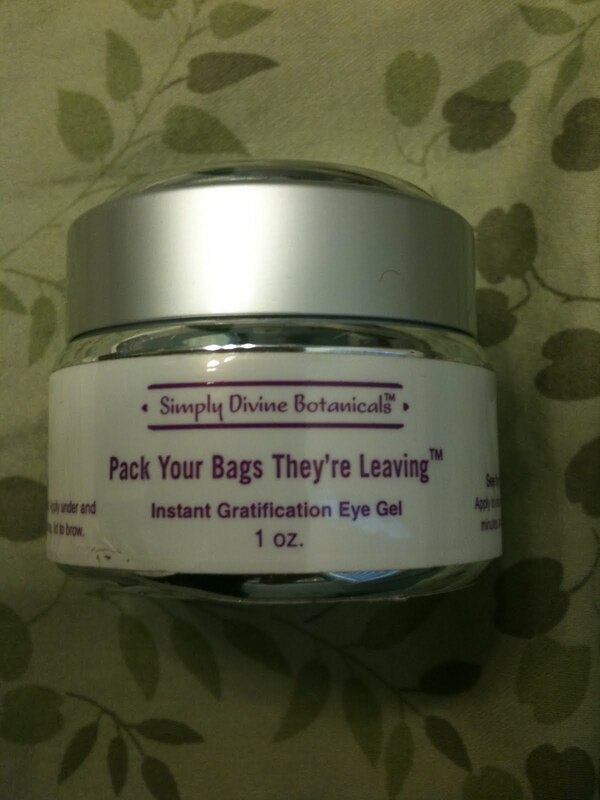 THIS eye cream is the bomb! It is called "Pack Your Bags They're Leaving" instant gratification eye gel and it is exactly what it says it is. Put a dab on and in a minute or two, gone! Bye, bye bags. This 1oz jar has lasted for about 9 months (I should probably toss it) but it is still as wonderful as it was when I got it. I will be purchasing more, this has become a staple in my cosmetics bag. Here is my "girly" shelf in the bathroom. I use the coconut oil (find it in the cooking section of your local grocery and look for 100% organic and raw). It usually costs around $8-$12 and lasts for a long, long time. Sometimes I like to spruce it up with a few drops of essential oil like lavender or vanilla or frankincense or patchouli or what ever you like. It is very moisturizing and you smell oh so good! If you don't like that you can use some grapeseed or jojoba or almond or another organic oil as well, you can find the perfect oil for your skin out there, there are many to choose from. Nearly all lotions we put on our skin are quite literally filled with toxins and those soak into our skin and into our blood. It is worth the time to look at your ingredients on this one and decide if you want to rub toxins all over your body or use natural oils that are even better anyway in every aspect. As far as "make-up" I use Bare Minerals and have for years now. My mama turned me on to it and it is another one of those staples in my bag. I use their mascara, blush, foundation (with sunscreen), lip gloss, brushes, eye shadow, eye liner, etc. They have it all. And they rate low on the cosmetics safety data base which is wonderful. They are made of crushed up minerals, sometimes pearls or even diamonds too, giving your skin a nice glow. It covers blemishes or uneven skin tones very well and doesn't look like you have on make up at all and best of all it allows your skin to breathe. I most highly recommend checking them out if you have not caught on to the mineral makeup thing yet. Once again it is important to keep those nasty toxins off our face and away from our eyes and lips. 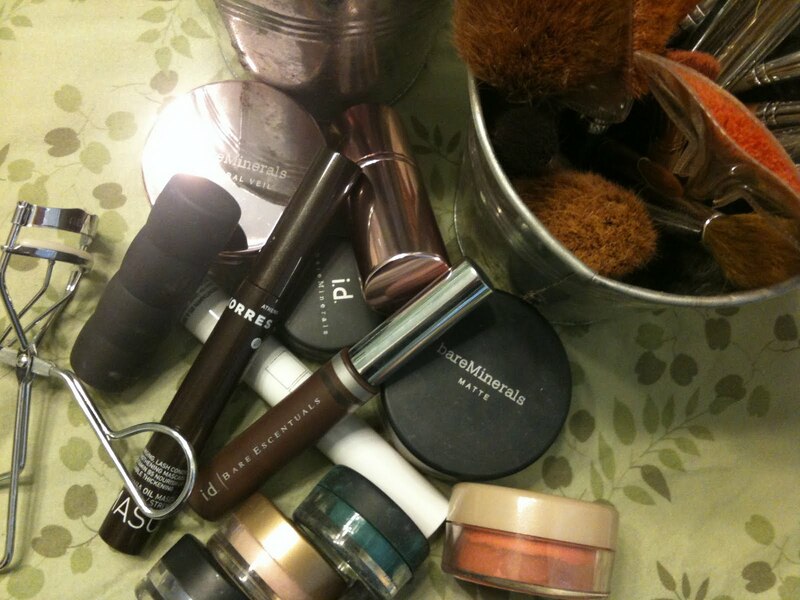 So ditch the drugstore cosmetics. I can guarantee you that 99% of those (if not 100%) are BAD BAD BAD. The mineral makeup might cost a little more but it will last you for a long long time because it is just minerals. I have had most of my eyeshadow colors for years and I have never ever used an entire one or come close to it yet. The foundation and bisque are the two that I use the most of and even then they last approximately 8-12 months for the average sized container. You can usually also find a killer deal on their stuff at QVC and you can often also get "kits" that include foundation, mineral veil, bisque, and other essentials for a very reasonable price. This Josie Maran Argan Oil is yet another one of those wonderful things that my beautiful mama turned me onto. 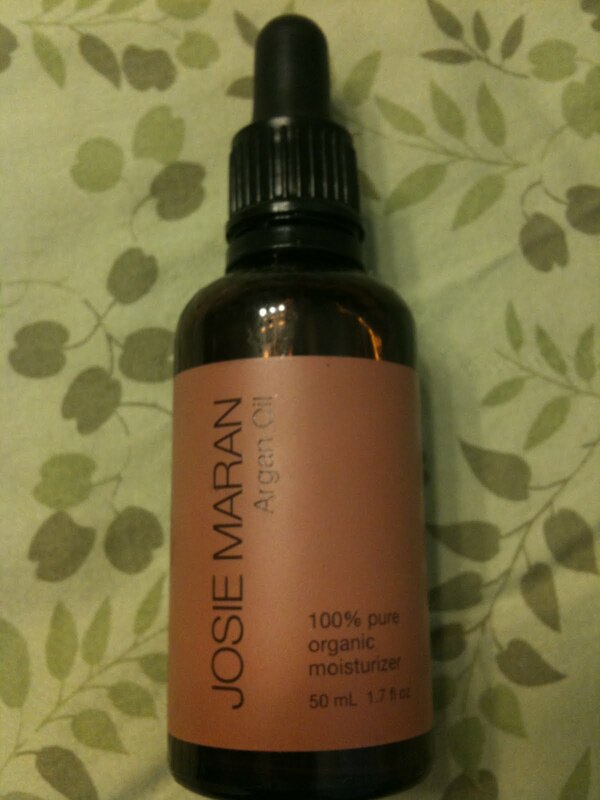 I use it in my hair, on my face, and if it were not so expensive I would put it all over my body. This is another one of those "a little goes a long way" products. 100% pure organic oil from a tree. WONDERFUL stuff! I like this derma e scar gel. I use it on the giant scar from the insertion of my power port. I put it on daily to try to reduce the appearance of the scar and it is very nicely beginning to blend in with the rest of my skin. For the longest time it was very obvious and purple. Mine took a little extra time to heal, most likely from the chemo I'm sure. I bruise so easily these days. My knees are covered in bruises and I have no idea why. I look like a really bad rollerskater that doesn't wear kneepads! 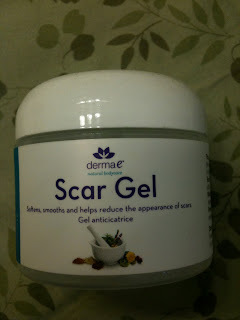 I have never tried any other scar gel so I have nothing to compare it to, but I felt it was worth the mention. I just break off a piece and smoosh it around a little and squeeze it out like I'm squeezing a tube and just rub it into my face. It feels really great plus like I said, it gets rid of my rash so I could only imagine how well it would work for other skin issues. When I travel I break off a couple of pieces and put them in a baggie, it travels very well and works great for sunburns too! Again, a staple in my bag. Our home is old and is made with plaster walls and we do not have any insulation so it is quite moist and drafty in the winter time and whenever it is excessively wet...and after all, I live in the PNW and it is often excessively wet. Mr. Wonderful purchased this dehumidifier for us last year. 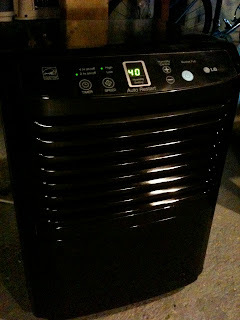 It has made the air in our home so much cleaner and dryer. It is also energy star certified and we have not noticed much of a difference in our power bill from it. We set it at 40% humidity and cycle it on for 2 hours/off for 2 hours. It has a 3 gallon capacity tank and we empty it every other day. 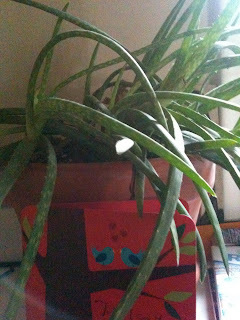 I would use the water for our plants but I fear it has mold spores in it and I don't want to promote the growth of mold anywhere other than on places like cheese or where it belongs, basically anywhere but my home and around my windows and lungs. Especially when my immunity is compromised from chemotherapy. This is our air filter. 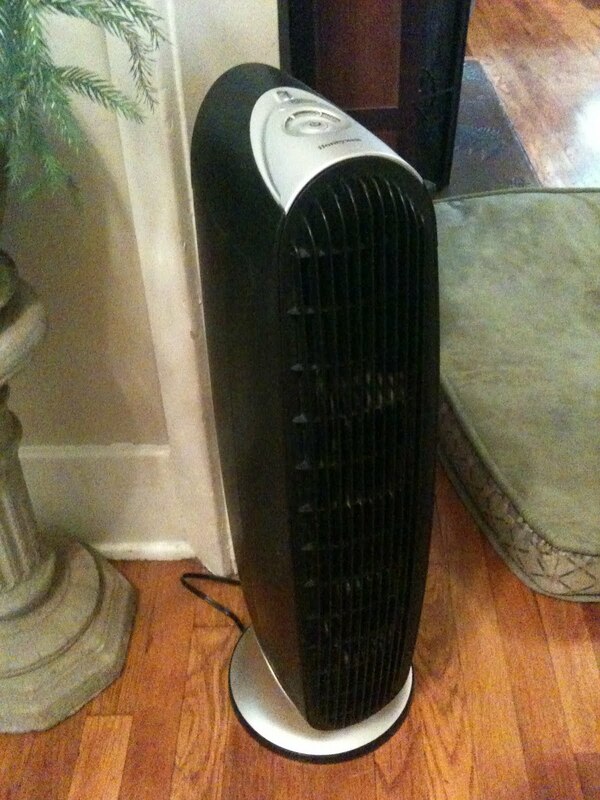 It oscillates and has three settings for fan speed. It also has washable filters instead of disposable ones that end up in a landfill at best. I have noticed a considerable difference in the quality of our air since we have been using this filter. With a dog and a cat and hardwood floors there are always dust buffalos roaming our nooks and crannies and hanging out in herds in the corners. The air feels so much cleaner and less dusty and irritating. My throat feels nicer and I am not as congested and phlegmy. It definitely helps keep the allergens down. This one also constantly runs in our home, even in the winter time. In the summer it also doubles as a fan and it's slim design makes it easy to tuck into a place where it will not dominate your space. It wasn't very expensive and I have nothing but great things to say about it. Highly recommended if the budget ever allows for it and worth saving for if it doesn't. You will thank yourself for this one. 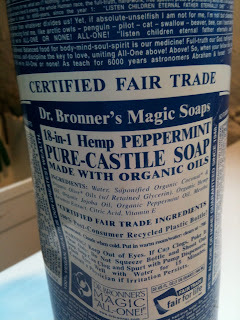 Lastly I could not finish this blog without talking about castile soap. 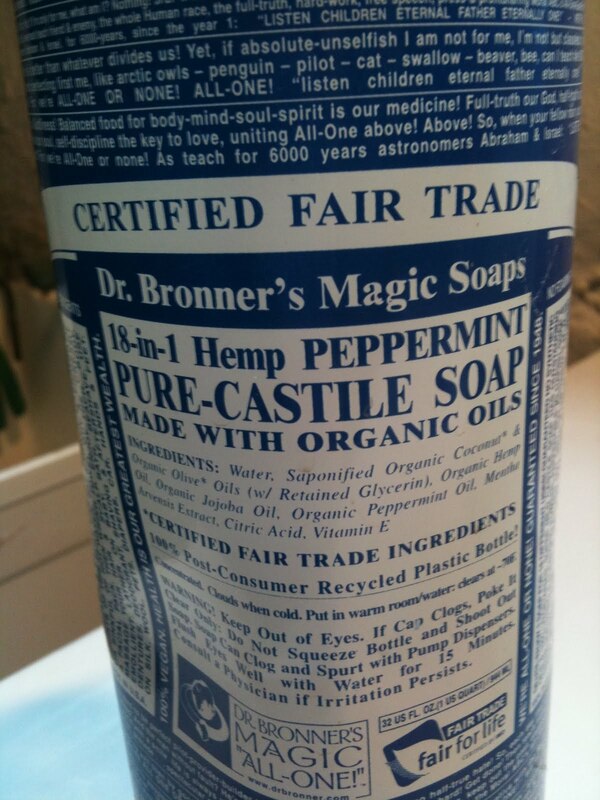 I have been using Dr. Bronner's for years. You can use it for so many things from toothpaste to shampoo to laundry to aphid spray, to floor cleaner, to...get the picture. This is a wonderful substitute for any household cleaning product that you are having trouble finding a natural replacement for. Just be sure to use only a little bit because it is highly concentrated and if you dump a bunch into the washing machine you might have a little issue on your hands :) I have even used this to wash my car and it works wonderfully on road grime and tar and bugs and doesn't kill the environment or the fish. The bottle is a ton of fun to read when you are, well, you know "sitting around" and it comes in a variety of natural fragrances. My personal favorite is the peppermint. Very tingly! Lastly, I want to give a shout out to my very best friend in the whole wide world my kitty! Today is her birthday! Happy birthday to my companion who gives to me unconditional love and always knows when something is wrong and is always there to comfort me. May you have a long long life ahead of you yet. Her name is Sienna. We (my mom and I) called her that because of her coloring and she seemed to like it. She rarely gets called that though. Pot Pie is what we call her now and it really has stuck. It came from me calling her Poppy (again the color thing) and someone one day said "did you say Pot Pie?" and then THAT stuck so that is her new handle now. She likes it and it is fun to say. She turned 15 today. 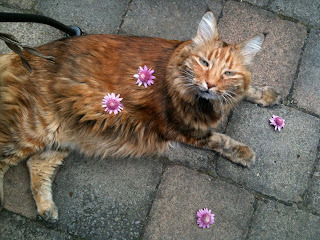 She was diagnosed with diabetes in the fall of 2005 and she gets insulin shots twice a day, making traveling interesting sometimes because someone always has to shoot the cat. We have bonded a LOT in the past years due to her illness and now due to mine. She is always laying beside me when I don't feel good and is always there to make me smile when I am feeling down. Petting her is therapy. Scrubbing that little chin and stuffing my face into her belly to feel her silky soft fur are two of my favorite things to do :) She wakes me up in the mornings by nudging her head into mine wanting food and little kisses on the top of her head. She loves her kitty lovin' in the morning. She particularly loves to have her little head rubbed, I call it "kitty small head". She has this little bunny pal that is a stuffed black and white bunny that an ex of mine from many many years ago gave me for valentines day or easter or something. She used to HATE that bunny! She would hiss at it and attack it, but she secretly loved it too. I went away for a month once to visit my father in TN and my mom sat the cat. Sie (short for Sienne) picked up the bunny and carried it around our apartment and meowed at it and with it in her mouth too! It became her pal in my absence! It has since come along with us on every move and has never left Pot Pies side. Even Clark our yellow lab knows better than to chew it up and he has an obsession for all things fuzzy and stuffed. We call it the Death Bunny.